If you are an entrepreneur who uses Twitter in your business marketing strategy then you have probably heard of Twitter Dashboard. However, do you really know exactly what it is and how to use effectively to positively impact your business? Use this quick guide to get started using Twitter’s newest business multi-tool today. While third-party dashboard products have been on the market for some time, Twitter released its own stand-alone version earlier this year. It is aimed at small to medium-sized businesses, unfamiliar with website marketing and development. The goal was to make tracking easier and improve those businesses’ abilities to connect and engage their market. Currently, Twitter Dashboard is available to all US businesses over a variety of platforms, including iOS mobile, Mac, and PC. How to Get Started Using Twitter Dashboard? Login with your Twitter Business account. Enter the required business demographics. Choose the terms, hashtags etc., you wish to monitor. Filter out any associated terms not related to your business — also called negative keywords. It is just that easy! Now take some time to familiarize yourself with the types of monitoring, data collection and analytics offered. How Can Twitter Dashboard Boom Your Business? Have you ever wondered what your most popular Tweet was, or how many reTweets your business promotions received? Analytic Twitter data, historically, has been a bit challenging to find and aggregate. The Twitter dashboard offers several options to easily track your #hashtags, mentions, reTweets and likes in one place. Use the dashboard to compile data into insightful reports, graphs and charts. You can easily view a snapshot of your recent performance or collate a historical view. This data can be valuable when planning marketing and promotional strategies. Twitter dashboard increases engagement by keeping you connected to your consumer base with little effort. The ability to schedule Tweets means that you can meet your followers where they are and when they are online, without having to interrupt your daily schedule to do so. Twitter also offers inspiration when your creativity is running low. Suggested Tweets offered by Twitter encourage businesses to keep communications consistent and positive, which are two important factors to building trust in your brand. Insightful data and automated posting help drive engagement. These are important considerations if you are bootstrapping your business with limited time and resources. 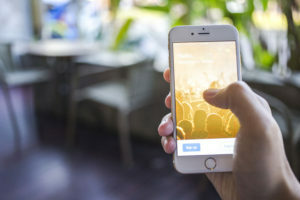 For these businesses, the Twitter Dashboard is a powerful feature-packed app that while, free to use, can be invaluable to businesses wishing to engage and connect with their target demographic in a meaningful way. Wish to learn more about the world of Twitter for your business? Check out the RIGHT and WRONG ways to use hashtags in your digital marketing efforts by clicking here!